The sealed gap, in Block “B”. which should be the other end of the new footbridge across York Street J3374 : The Ulster University site, Belfast - January 2019(1). A collection of photographs showing the University of Ulster campus at York Street - before, during and after construction.. The university’s main campus, in the Belfast area, is at Jordanstown. The following application for planning permission was advertised on 27 April 2012: “Application No: Z/2012/0361/F Location: Metropole, Orpheus, Interpoint, York House, Playboard and Block 82 York Street / Frederick Street / Great Patrick Street, Belfast BT15 1ED Proposal: New university campus in Belfast City Centre. Development of 3 no. new buildings (Block A, Block B and Block C) with total floor area (gross external) of 85736 sqm. The maximum height of the buildings is 12 storeys at corner of Frederick Street and York Street. The development will be characterised by 2 no. lantern features at the corners of York Street and Donegall Street and York Street and Frederick Street. Public realm improvements to York Lane and in proximity to university buildings. Demolition of existing footbridge and development of new footbridge over York Street. 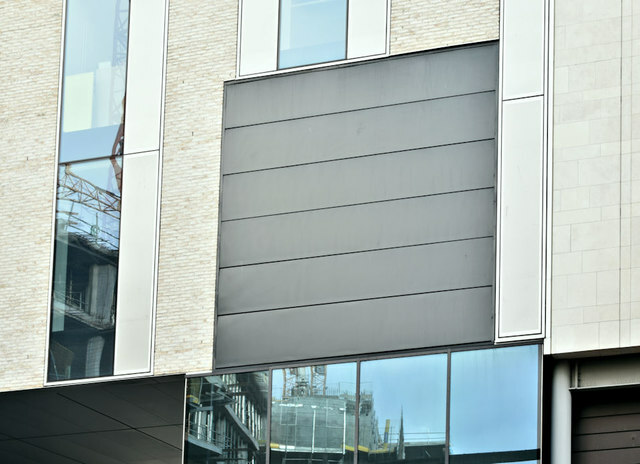 Minor works to the existing Block 82 external facades”. The weekly planning applications advertisement for 7 June 2013 included the following statement “The Department has granted Full Planning Permission for the following planning application: Z/2012/0361/F Council Area: Belfast Location: Metropole, Orpheus, Interpoint, York House, Playboard and Block 82 York Street / Frederick Street / Great Patrick Street, Belfast BT15 1ED”. The photographs submitted by me have no connection with the university and appear as matter of geographical and historical record only. I have no opinion for or against the move or any planning etc matter connected therewith. This page has been viewed about 21 times.